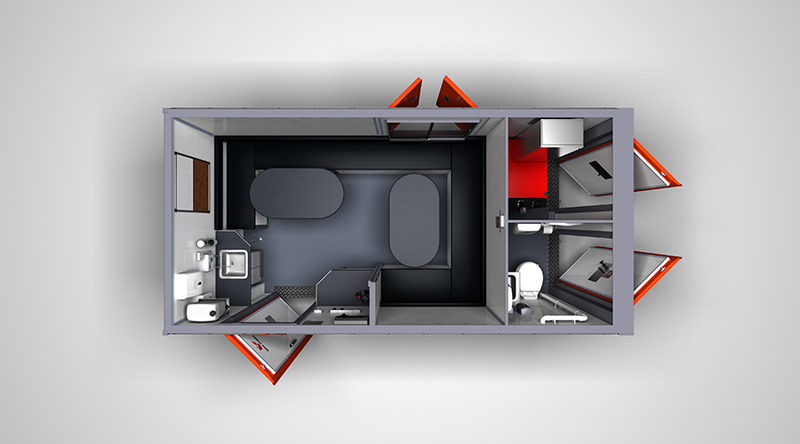 ​The Ultimate 12-Man, Lightweight, Anti Vandal, Road Towable Welfare Unit. This unit can accommodate up to 12 people with 800 litres of under seat storage provision. The single axle design makes it easy to transport and meets all of the HSE welfare on-site standards. Power is provided by the integrated silenced diesel generator which supplies various electrical systems to suit.